Roberts, J.H. ( and P.L. Angermeier). 2012. Assessment of the distribution and abundance of Roanoke logperch (Percina rex) in the Dan River basin of Virginia. Final report to Virginia Department of Game and Inland Fisheries, Richmond, VA. 19 pp. Roberts, J.H. and P.L. Angermeier. 2011. Survey of fishes at the Pittsylvania County Route 622 bridge over Cascade Creek, Virginia. Project report to Virginia Department of Transportation, Richmond, VA. 4 pp. Roberts, J.H. and P.L. Angermeier. 2011. Survey of fishes at the Pittsylvania County Route 676 bridge over Whitehorn Creek, Virginia. Project report to Virginia Department of Transportation, Richmond, VA. 4 pp. Roberts, J.H. and P.L. Angermeier. 2011. Survey of fishes at the Pittsylvania County Route 853 bridge over Sugartree Creek, Virginia. Project report to Virginia Department of Transportation, Richmond, VA. 4 pp. Carey, C. S. Carey, B. J. K. Ostby, R. J. Neves. 2011. A Qualitative Survey for Mussels in Lower Indian Creek: Follow-up Monitoring of the Route 460 Bridge Replacement Project (2006-2010). Virginia Department of Transportation, Richmond, VA. 25 pp. Carey, C. S., B. J. K. Ostby, and R. J. Neves. 2010. A Qualitative Survey for Mussels in Lower Indian Creek: Follow-up Monitoring of the Route 460 Bridge Replacement Project, 2010 Annual Report. Virginia Department of Transportation, Richmond, VA. 13 pp. Ostby, B. J. K. and R. J. Neves. 2010. Habitat Assessment at the Route 58 Bridge Crossing of the Middle Fork Holston River in Washington County. Project Number:0058-095-108, B607, B608, C504. Virginia Department of Transportation, Richmond, VA. 10 pp. Roberts, J., P. Angermeier, and E. Hallerman. 2010. Survey of mitochondrial DNA variation in endangered Roanoke logperch (Percina rex). Final report to Virginia Dept of Game & Inland Fisheries. Submitted for USGS review. Ostby, B.J.K., P.L. Angermeier, and R.J. Neves. 2010. Freshwater mussel survey in the upper North Fork Holston River, Virginia. Project report to United States Fish and Wildlife Service, Abingdon, VA. 57 pp. Roberts, J.H. and P.L. Angermeier. 2010. Survey of fishes at the Scott County U.S. Route 58 bridge over North Fork Holston River and Hilton Creek, Virginia. Project report to Virginia Department of Transportation, Richmond, VA. 6 pp. Roberts, J.H. and P.L. Angermeier. 2010. Survey of fishes and habitat at the Montgomery County Route 773 bridge over Roanoke River, Virginia. Project report to Virginia Department of Transportation, Richmond, VA. 5 pp. Roberts, J.H. and P.L. Angermeier. 2010. Survey of fishes at the Bedford County Route 727 bridge over Crab Orchared Creek, Virginia. Project report to Virginia Department of Transportation, Richmond, VA. 5 pp. Roberts, J.H., P.L. Angermeier, and E.M. Hallerman. 2009. Analysis of population genetics of Roanoke logperch (Percina rex) based on microsatellite markers. Final report to United States Fish and Wildlife Service, Gloucester, VA. 35 pp. Angermeier, P.L., K.L. Krueger, K.M. Mattson, and S.D. Klopfer. 2009. Development of an aquatic gap analysis for the upper Tennessee River basin. Project report to United States Geological Survey, Reston, VA. 82 pp. Frimpong, E.A. and P.L. Angermeier. 2009. Linking traits of at-risk fish species with types of human impact: a test of concept. Project report to United States Geological Survey, Reston, VA. 24 pp. Lapointe, N.W.R. and P.L. Angermeier. 2009. Movement, habitat use, nesting, and feeding of northern snakehead (Channa argus) in the Potomac River catchment. Project report to United States Geological Survey, Reston, VA. 7 pp. Mattson, K.M, B. Ostby, P.L. Angermeier, and R.J. Neves. 2009. Cost-effective mussel restoration and conservation in TVA streams and tailwaters (contract supplement). Project report to Tennesse Valley Authority, Chattanooga, TN. 153 pp. Ostby, B.J.K. and P.L. Angermeier. 2009. Reconnaissance surveys for native mussel habitat, James Spinymussel (Pleurobema collina), and other protected mussels in the upper James River, Botetourt County, Virginia. Project report to United States Fish and Wildlife Service, Gloucester, VA. 51 pp. Ostby, B.J.K. and R.J. Neves. 2008. Survey and relocation of freshwater mussels at the Route 205 ford crossing (Reid’s Ford) of Craig Creek, Botetourt County, Virginia. Final Report to the Virginia Department of Transportation, Richmond, VA. 8 pp. Ostby, B.J.K. and R.J. Neves. 2008. Survey and relocation of freshwater mussels at the Route 206 ford crossing (Anderson’s Ford) of Craig Creek, Botetourt County, Virginia. Final Report to Virginia Department of Transportation, Richmond, VA. 13 pp. Ostby, B.J.K. and R.J. Neves. 2008. Survey and relocation of freshwater mussels at the Route 770 ford crossing (Carter’s Ford), of Craig Creek, Botetourt County, Virginia. Final Report to Virginia Department of Transportation, Richmond, VA. 12 pp. Ostby, B.J.K. and R.J. Neves. 2008. Survey of freshwater mollusks at the Route 282 crossing of Bluestone River, Tazewell County, Virginia. Final Report to Virginia Department of Transportation, Richmond VA. 14 pp. Ostby, B.J.K. and R.J. Neves. 2008. Survey of freshwater mussels at the proposed 208 bypass bridge crossing of the Po River, Spotsylvania County, Virginia. Final Report to Virginia Department of Transportation, Richmond, VA . 17 pp. Ostby, B.J.K. and R.J. Neves. 2008. Survey of freshwater mussels at the Route 743 bridge crossing of the North Fork Rivanna River, Albarmarle County, Virginia. Final Report to Virginia Department of Transportation, Richmond, VA. 11 pp. Ostby, B.J.K. and R.J. Neves. 2008. Survey of freshwater mussels at the Route 817 ford crossing (Hannah’s Ford) of Craig Creek, Botetourt County, Virginia. Final Report to the Virginia Department of Transportation, Richmond, VA. 8 pp. Roberts, J.H. and P.L. Angermeier. 2008. Habitat and fish surveys for Roanoke logperch (Percina rex) and orangefin madtom (Noturus gilberti) in North Fork Little Chestnut Creek, Franklin County, Virginia. Final report to Joyce Engineering, Inc., Greensboro, NC. 6 pp. Lahey, A. M. and P. L. Angermeier. 2006. Range-wide assessment of habitat suitability for Roanoke logperch (Percina rex). Final report to Virginia Transportation Research Council, Charlottesville, VA. 54 pp. Roberts, J.H. and P.L. Angermeier. 2007. Surveys of habitat suitable for endangered Roanoke logperch (Percina rex) in streams crossed by proposed Transco gas pipeline extensions in Pittsylvania and Campbell counties, Virginia. Final report to ENSR, Houston, TX. 8 pp. markers for study of Roanoke logperch (Percina rex) population genetic structure and viability. Final report to Virginia Department of Game and Inland Fisheries, Richmond, VA. 20 pp. Lahey, A. M. and P. L. Angermeier. 2006. Habitat suitability for Roanoke logperch near Phipott Reservoir. Final Report to United States Army Corp of Engineers, Bassett, VA 19 pp. Roberts, J.H. and P.L. Angermeier. 2006. Assessing impacts of the Roanoke River Flood Reduction Project on the endangered Roanoke logperch. Final report to United States Army Corps of Engineers, Wilmington, NC. 44 pp. Bowler, S. and 15 coauthors. 2006. Development of building blocks to prescribe ecological flows for the Rivana River watershed. Final Report to The Nature Conservancy, Charlottesville, VA. 130 pp. Lahey, A. M. and P.L. Angermeier. 2006. Survey for Roanoke logperch in the Roanoke and Meherrin river drainages, Virginia. Final Report to U.S. 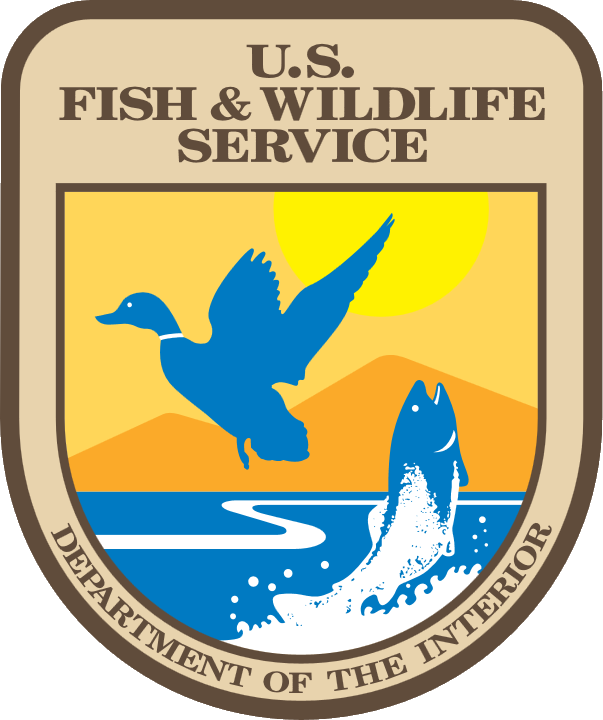 Fish and Wildlife Service, Gloucester, VA. 21 pp. Angermeier, P., D. Murphy, R. Spies, and D. Patten. 2005. ERPSB review of CALFED performance measures. Final Report to CALFED. Sacramento, CA. 14 pp. Angermeier, P.L. 2005. Survey of the fish fauna and habitat near seven fords across Elliott Creek, Montgomery County, Virginia. Final Report to Virginia Department of Transportation, Richmond, VA. 4 pp. Roberts, J.H and P.L. Angermeier. November 2004. Monitoring for effects of KIK effluent on Roanoke logperch in Roanoke River. Final Report to U.S. Fish & Wildlife Service, Gloucester, VA. 11 pp. Rosenberger, A.E., and P.L. Angermeier. 2002. Roanoke logperch (Percina rex) population structure and habitat use. Final Report to VDGIF, Blacksburg, VA 100 pp. Wheeler, A.P., A.E.K. Rosenberger, and P.L. Angermeier. 2002. Potential impacts of I-73 on stream habitat and biota, with emphasis on the endangered Roanoke logperch. Final Report to Virginians for Appropriate Roads, Floyd, VA.
Angermeier, P.L. 2001. Survey of the fish fauna at the Mecklenburg County Route 600 bridge over Allen Creek, Virginia. Final Report to VDOT, Richmond, VA. 4 pp. Angermeier, P.L. 2001. Survey of the fish fauna at the Mecklenburg County Route 686 bridge over an unnamed tributary of Butcher Creek, Virginia. Final Report to VDOT, Richmond, VA. 4 pp. Angermeier, P.L., S.N. Luoma, and P.B. Moyle. 2001. Summary of CALFED's Workshop on Splittail. Final Report to CALFED, Sacramento, CA. 8pp. Angermeier, P.L. and A.E. Rosenberger. 2000. A survey of the fish fauna at three sites on the Nottaway River in Fort Pickett, Virginia. Final Report to Conservation Management Institute, Blacksburg, Virginia. 7pp. Angermeier, P. L. 1999. A survey of the fish fauna at the U.S. Route 220 bridge (in Rocky Mount), Pigg River, Virginia. Final Report to Virginia Department of Transportation, Richmond, VA.
Angermeier, P. L. 1999. Book reviews. Freshwater Biology 42:759-760. Review of Patterns in Freshwater Fish Ecology by W. J. Matthews (1998). Angermeier, P. L. 1999. Surveys of the fish fauna at the Bedford County Route 24 bridges over West Fork Beaverdam Creek, Beaverdam Creek, and East Fork Beaverdam Creek. Virginia. Final report to Virginia Department of Transportation, Richmond, VA.
Ensign, W. E., P. L. Angermeier, B. W. Albanese, and G. H. Galbreath. June 2000. Pre-construction monitoring of the endangered Roanoke logperch (Percina rex) for the Roanoke River Flood Reduction Project: Phase 3. Final Report to the U.S. Army Corps of Engineers, Wilmington, NC.